Blowing Rock is a distinguished resort town nestled in the Blue Ridge Mountains of Western North Carolina, making its weather atypical for what you’d expect from a place in the south. Residents and visitors alike are blessed to experience all four distinct seasons, each with their own splendor and fun. In fact, some people plan their trips to the area based solely on the seasons. For example, avid skiers frequent Blowing Rock in the winter to spend all their time on the slopes. Others show no favoritism and come as often as they can, any month of the year. Permanent residents, obviously, have the privilege of enjoying spring, summer, fall, and winter, along with all they afford. 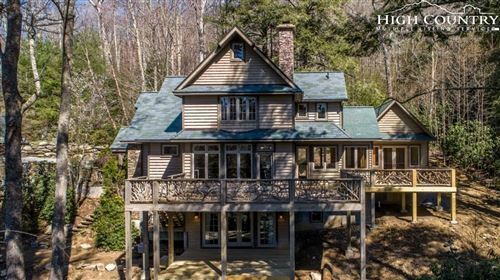 If you would like to do the same, click to browse available properties in Blowing Rock and beyond. With an elevation of about 3,500 feet above sea level, the town of Blowing Rock sees archetypal temperatures for each season. Summers are mild, with temps averaging mid-seventies. Winters see freezing temperatures but normally on and off. Spring and fall are both comfortable and moderate. On account of the thermometer readings, certain outdoor activities are more affordable. The reasonable temps of summer make afternoons more than just bearable; nothing is impractical because of heat. The cold but not frigid winter days make skiing enjoyable. Spring and fall are ideal for hiking, golfing, and the like. What are even more appealing than the temperature are the sights of the incarnate weather. Summer nights are lit up by stars. Winter has periods that resemble a scene in a snow globe. Spring boasts mountain flowers and new life. Lastly, autumn puts on a vibrant display of reds and oranges that paint the mountainside. Those who can stay only for a short time tend to intentionally think about the weather of Blowing Rock, unlike those who live here. Residents, on the other hand, have come to accept all 365 days, the good and the bad, and embrace the weather as just another unique characteristic of our home. After all, Blowing Rock wouldn’t be the charming mountain town it is without it.